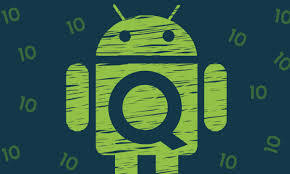 an app that Google uploaded to the Play Store and found a number of interesting features which they say may never make to the final version of the Android Q or Android 10. In the report, Android Q has been tipped to bring in native support for better facial recognition, and will probably natively accommodate sensors found in the iPhone XS' infrared camera, dot projector and flood illuminators. The facial recognition setup will be similar to that of the fingerprint scanner and will be separated from the current trusted face menu as well. Another feature that the Android Q will get is native screen recording. For current and earlier Android versions, third-party apps do the job but a native feature will be much better and seamless. Also, there is a new Emergency option in the power menu, along with a screenshot, power off, and restart options. The Emergency option will allow the user to access the emergency dialer from the home screen. As of now, the emergency dialer is only available from the lock screen. Google is also bringing something which is called Sensor Privacy which allows you to disable all sensors. The idea behind this feature is not clear yet. The Android Q will also get Wi-Fi WPA3 and 5G support, and of course, the Dark Mode. Google will be launching Android Q with the dark mode and other aforementioned features at the Google I/O conference scheduled for May 2019.